In the documentation, you'll find 3 different ways to integrate with Vizit Essential™ and those buttons: Vizit.Write, VIZIT_SETTINGS, and the Vizit namespace. The examples below highlight various aspects of the API available in the latest release of Vizit. // This example will write the configured buttons to the page for the document URL provided. // This example will write a link to the page. Clicking the link will open the document in Vizit Essential™. // Any configured buttons will be displayed next to the link as well. // If no buttons were configured for the page, the globally defined defaults will be used. // globally configured or globally defined VIZIT_SETTINGS. // of the supplied document with a maximum width and height of 300 pixels. // These are the only required parameters. // will be maintained, but it will be fit into a 300 x 400 rectangle. // The last parameter is a hashtable of key-value attribute pairs. // and the style will include padding information. // are available, but the URL is not. Here's an example of how to use VIZIT_SETTINGS to specify the buttons that should appear next to document links on the SharePoint page, the width and height of Vizit Essential™, as well as a specific set of actions that should appear in the toolbar. Any configuration options that are not specified have a default that can be found in the documentation. Because of this, all the default keyboard actions will continue to work as expected. VIZIT_SETTINGS is effectively a combination of configuration parameters from Vizit.Essential.Controller and buttons: 'OpenInEssential', 'OpenInPro', and 'InstantPreview'. Please note that the "Open Documents in Vizit Essential" checkbox must be checked in Vizit's "Configure Settings" section in Central Administration for #vizit to work properly. Any delegates passed to Vizit.OnReady will be called as soon as the Vizit Client Library is fully loaded on the page and any required resources are available. If Vizit™ is ready when the delegate is passed to Vizit.OnReady, the delegate will be called immediately. It is because of this, that we recommend you wrap any initialization code inside a Vizit.OnReady delegate to ensure that Vizit™ is available when calls to the client library are made. 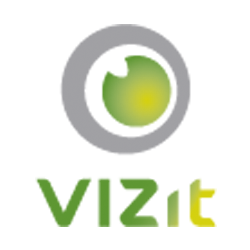 Vizit External is a dedicated page that contains Vizit Essential. By passing the appropriate query string parameters, you can configure Vizit to open a specific document as well as have a desired set of functionality. This URL can also be used in an iFrame to embed Vizit on a page. This is a different approach to embedding Vizit on the page (like by using Vizit.Essential.Controller object or VIZIT_SETTINGS), but the effect is similar. In the above example, the docRef provided is a URL-based docRef. Please see the documentation for Vizit.Essential.Controller.Open for more information about docRefs.